Sorry for the lack of posting here for the last few days - I am off work at the moment with a 'jarred hip joint' which is very painful and makes walking very hard. Practically bed bound for last two days although easing slightly now. 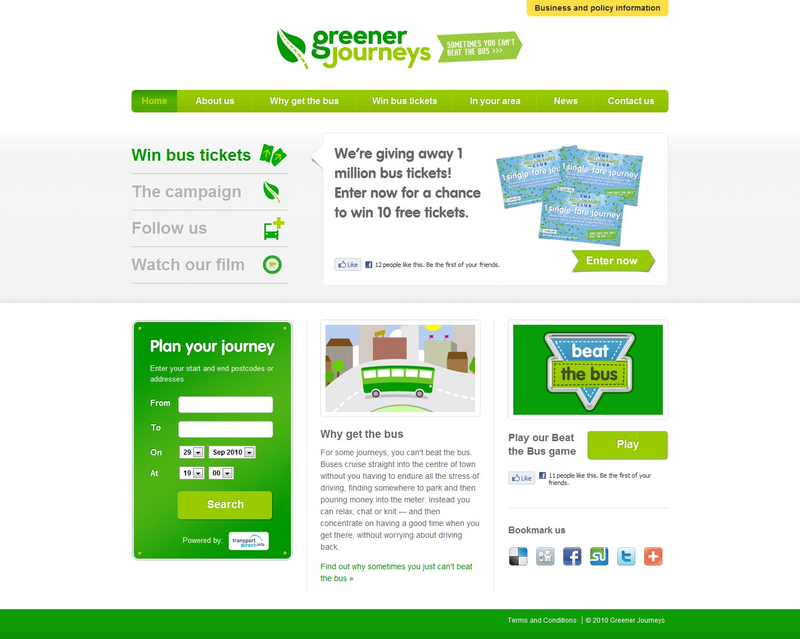 "Greener Journeys is the first-ever national consumer marketing campaign to persuade people to get out of cars and on to buses. Brought to you by a coalition of the major bus companies in the UK, including Arriva, Go-Ahead, FirstGroup, Stagecoach, and National Express, we want to make it easier and more attractive for you to get the bus. Over the next three years, we want to take one billion car journeys off the road. That would mean a huge reduction in carbon emissions, pollution and congestion, making life better for everyone all round"
It certainly looks like a good idea and does have the support of all the big national groups including First, Stagecoach and Go Ahead. Its nice to see Western Greyhound promoting the initiative as well. I am sure it wont be long before First Devon & Cornwall and Plymouth Citybus start promoting the idea as well.